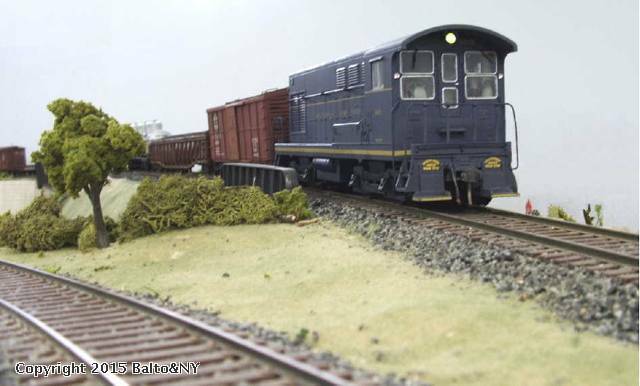 A B&O FM switcher leads a transfer run on the Baltimore & New York Ry. Transfer moves ran between nearby yards of different railroads for efficient interchange. Once these cars are delivered, another cut of cars would be ready for the FM switcher on its return to B&NY's Edgewater Yard.